A prominent feature of the 45 racks in the nation's record stores in the early to mid 1960s, Peak was a prolific South Island record label established in 1959 by Jack Urlwin, the son of a wealthy electrical wholesaling and manufacturing family from Waltham in Christchurch. In his mid 30s, Urlwin was an amateur songwriter, albeit one with aspirations, and by 1957 he'd already had some 20 songs listed with APRA, which in those days required that they were available on sheet music. He told The New Zealand Listener "I went overboard for music when I was introduced to jazz during the last war". Jack Urlwin left the family business in the mid-1950s to create an advertising agency in the city. However, he passionately wanted to play jazz (he was a highly regarded drummer in his leisure time, and a less accomplished clarinet player) and also to record other local jazz musicians. Pulling together funds from like-minded friends, he formed Peak, which he named after Mitre Peak in Fiordland, with an image of the mountain on the label. Urlwin told the Christchurch Press, "We are interested in listening to any person who is convinced he or she is as good as an overseas counterpart." The first releases were all local jazz recordings by the likes of Pat Vincent and the Chuck Fowler Quartet. None sold huge quantities but Urlwin had bigger ambitions for the label. In 1960 he travelled to the UK and the USA and picked up a raft of American and UK labels, not least the very substantial US labels – Epic, Okeh, Cadence and King Records (including its Bethlehem jazz subsidiary). Peak was the first label to release James Brown in NZ (from King) and the label did exceptionally well distributing Epic, a branch of the giant New York-based CBS empire (as was Okeh). From the UK he inked a deal with Oriole Records, managing also to license NZ product back to them, including a Lennon-McCartney songbook by jazz pianist Barry Markwick in 1965, something that sold well in both countries (Marwick recorded two albums for Peak). Urlwin recalled his meeting with King as,"I had an interesting meeting with King Records. I met these people in New York and it was a six to one situation! There were six large negroes in the room and me. They were domineering and overwhelming and wanted to know what a "white boy" knew about the blues"? 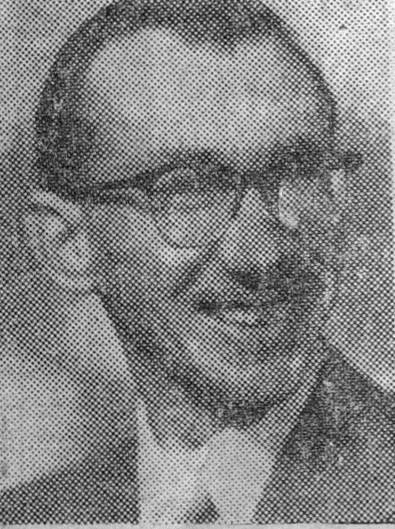 Early Peak records were distributed via local dealers but around 1960 he signed a distribution deal with Philips, who were then establishing a national network, and this gave Peak a New Zealand wide presence. As oart of this deal Peak provided the South Island part of Philips' network briefly. 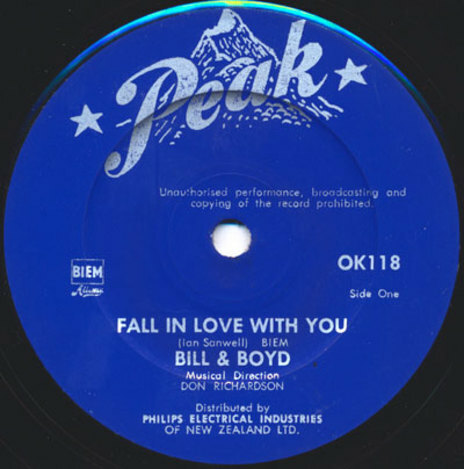 Early Peak singles came in a semi-opaque polythene bag overprinted with a yellow Peak logo which gave them a point of uniqueness in stores. Later, in the mid-60s, Peak would sell all their albums in similar bags with the album in its sleeve inside. Urlwin's biggest early local stars were the country-pop act Bill & Boyd who issued five singles in 1960 and 1961, but he also notably released the much-compiled classic garage rock of ‘Four City Rock’ by Peter Lewis & Trisonic in 1960, with lyrics guaranteed to get national interest, written on the spot by Urlwin, and sung convincingly by local Christchurch lad Peter McMullan (Lewis). Bored with the music business and wanting to return to his first passion, jazz, Urlwin sold the rights to Epic and the other labels to His Master’s Voice (New Zealand) Limited in 1966, winding his own label down. In 1970 Peak Records Limited was renamed Urlwin International Marketing Limited as Jack Urlwin moved on to other businesses including the importation and manufacture of blank cassettes. He died in 2006, but his name is remembered in The Jack Urlwin Jazz Scholarship awarded yearly by Christchurch Polytech's Jazz School from a fund established by Urlwin, with one of the first recipients being Oakley Grenell, the son of South Island country legend, John Grenell.